The National Future of Education Technology Conference® (FETC®) announced 55 exhibiting companies who will introduce a total of 65 new products at the 39th annual event, January 27-30, 2019 at the Orange County Convention Center in Orlando, Fla. The conference Expo Hall will feature more than 450 exhibiting companies presenting solutions in virtual and augmented reality, robotics, device management, digital content, assessment and much more. The new technologies that will be shared with attendees highlight cutting-edge innovations that address some of the most important challenges facing educators, schools and districts globally. Aerohive Networks® will showcase the recently-introduced cloud management deployment option for its A3 Secure Access Management Solution. The new microservices-based cloud management delivers flexibility, scalability and resilience to A3 Secure Access Management (SAM) for corporate, BYOD, guest and IoT client device onboarding, authentication and control, another way Aerohive keeps schools' data secure from outside threats. AmEnglish.com has introduced a new HTML5 version of all three volumes of Idioms in English for Young Adults. Each volume covers 100 idioms (including phrasal verbs) in 220 interactive lessons with stories using the idioms in context, audio featuring four different native speakers and definitions, examples and pronunciation notes for each idiom. The program is available as a computer lab license, classroom license with LMS tracking or a school license with LMS tracking. The company has also announced the release of Read Aloud eBooks with the following adaptive assessment features: poems about animals in the same meter as The Cat in the Hat, reading grade levels from 1 – 6, and Teacher Guides and Parent Guides in English and Spanish. Read Aloud eBooks engage all readers and offer support for early readers and ELLs with word highlighting in sync with the audio, rhymes reinforcing vowel and consonant sounds, and LMS tracking. AVer Information has announced the launch of its latest document camera and two new charging solutions: the M17-13M Document Camera, X30i Charging Solution and X42i Charging Solution. Educators can create an interactive learning experience with the camera and support any learning environment the new charging solutions. FETC attendees will be the first to see and demo these products. B.E. Publishing will showcase brand-new versions of EduTyping and its Microsoft Office Specialist series. B.E. Publishing offers a full suite of computer applications resources, teaching students everything from proper typing techniques to passing Certiport's MOS Certification Exams. Bark will demonstrate its expanded offering, including free onboarding and support with a dedicated school safety manager. Bark proactively alerts school administrators to issues detected in school-issued student email, chat, documents and cloud storage. It is free for all K-12 schools in the U.S. and monitors students’ school accounts at no cost, both during and after school. BenTek will release features in 2019 that continue to enhance the user experience. Release highlights include customized plan comparison tools empowering employees to make educated decisions about their healthcare choices, along with giving administrators the ability to support their employees remotely by utilizing a new enrollment impersonation tool. bulb Digital Portfolios, a tool used by students and educators for modern, lifelong learning, has announced the release of their iOS app, allowing users to create and share work from a mobile device. Exclusive to the native app is their new premium feature, a multimodal screen capture, which allows a user to screen capture video of themselves drawing or annotating an image while narrating their process simultaneously. Bytes of Learning will introduce UltraKey Online build 198 with Content Management, which allows districts, schools, teachers and family managers to use their own typing practice and test material, and to assign selected content to students. Content Management complements the powerful administration and learning management tools previously released in the product series. Carnegie Learning will introduce LiveLab, a new product for teachers using MATHia software, designed to help teachers make the most of their limited time with students. Based on artificial intelligence and machine learning research, LiveLab illuminates each student’s progress through math concepts in real-time so teachers can guide, intervene and coach effectively. Indicators and alerts help teachers assist struggling students and recognize students when they hit milestones. ClassroomSync will demonstrate its software that enables teachers to monitor students’ personal device activity within a secure platform. It eliminates distractions while allowing student access to an array of sub-apps that can be used for subjects from Art Appreciation to Calculus II. ClassroomSync also reduces the need for school-owned physical devices, such as calculators, computers and textbooks, allowing those funds to be used elsewhere. codeSpark Academy has announced a new and improved Teacher Dashboard, enabling educators to manage classrooms, track student progress, download lesson plans, set up devices and more. Teachers can get started with codeSpark’s video library of webinars, engaging online professional development and easy login with Clever. codeSpark Academy is free for teachers, librarians, and nonprofit organizations. Codesters is introducing new code-powered math and science labs, enabling schools to integrate Python coding directly into middle-grade core subjects. Students demonstrate deeper learning of academic content through capstone math and science coding projects. This ready-to-use learning platform transitions students to text-based coding while providing teachers with the training and execution resources they need to incorporate 21st-century skills into their classrooms. CommonLit will introduce its Interim Assessments, through which district leaders can easily track student progress and identify areas for improvement. CommonLit's Interim Assessments are available for grades 3-12 and are aligned to the Language Arts Florida Standards and the FSA. Crosscutting Concepts has announced FACES 4.0 EDU, which lets students create billions of different human faces with point-and-click selection from a rich database of facial features. With the help of IQB's software, classrooms will come alive. This builds upon students’ ability to solve the murder mystery of Lyle and Louise, a focus of popular Crosscutting Concepts products. CrossFlight Sky Solutions will introduce its semester-long High School Drone Technology curriculum, set for release in the upcoming school year. The e-learning interactive curriculum introduces students to this growing technology and allows them to advance toward an FAA Commercial Drone Pilot Certification. CurbSmart will showcase its technology for complex tracking of students and after-school activities, including a new check-in feature for parents. The technology replaces walkie-talkies, bullhorns, overhead PA systems, and confusing manual rosters and release locations, helping schools ensure the safe release of students. Custom Educational Furnishings (CEF) will introduce the IDEA Island, the newest addition to the award-winning Ed Table line. The creation of the IDEA Island was inspired by the many makers in school systems across the nation that are dedicated to inspiring creativity and discovery in children. The IDEA Island combines industrial design with warm wood, strength and innovation. Dremel will demonstrate the 3D40 FLEX 3D Printer, which offers a variety of new features, including a flexible build plate to make it easier to remove parts after printing. To accommodate more users, the 3D40 FLEX prints 30 percent faster in draft mode, ideal for environments, such as the classroom, that require quick turnaround. The printer also features 50 micron resolution capabilities to better print intricate, detailed designs. Eduporium has announced new robotics options, added to its online STEM and Educational Technology Tools webstore. Among the new offerings are the NAO Robot V6, Root early education robot and BOLT robot from Sphero. Using these technologies, students can develop key 21st century skills, including coding, computational thinking, and problem solving. EQtainment has announced the launch of a new home version of Q Wunder, the social-emotional learning (SEL) program serving Pre-K to 3rd grade students. The home backpack includes videos, games, music and a breathing buddy. The lessons cover 15 SEL topics and are CASEL and GLAD aligned to support classroom learning at home, complete with a parent instructions and content for non-English speaking families. FireFly Computers will introduce FireFly Smart Repair, a reimagined way for schools to repair and maintain devices. It provides schools with the convenience of a warranty, but users only pay for the repairs they use. Smart Repair doesn’t require tracking serial numbers and the cause of breakage doesn’t matter. GoGuardian will introduce Beacon, a suicide prevention tool, built with mental health experts, to help schools proactively identify students at risk of suicide or self-harm. By combining real-time scans powered by a proprietary machine-learning engine, Beacon is the only tool able to monitor every activity happening across students’ devices in real-time, providing parents and educators with immediate and actionable information reflecting student needs. Gravic will be introducing two new products, Remark Test Grading Cloud 2.1 and Remark OMR 10.1. The enhanced Remark Test Grading Cloud application includes a full test designer with question text, answer labels and images to create more customized tests, while the new version of Remark Office OMR allows users to scan their own plain copy paper tests and other forms with any imaging device and run grade and assessment reports with the click of a button. Higher Ground Gear will introduce Datakeeper 2.0, a new budget “work-from-the-case” solution. Datakeeper 2.0 is the full package on a small budget, ensuring that users never need to remove the device from the case and an integrated pocket. Hitachi America will showcase the MP-WU5603 3LCD laser light source projector, featuring 6,000 ANSI lumens, WUXGA 1920 x 1200 resolution and up to 50,000 hours of low maintenance operation using Long Life 2 mode. Additionally, advanced features include HDBaseT, Lens Shift and Perfect Fit for easy setup, Cloning Function for copying setting data from one projector to another and Auto Power On for quick start up. HoverCam will introduce three new products: the Ultra 10 document camera, Pilot X and ClassFusion. Ultra 10 features wireless 4K streaming to any display and an enhanced 10.1-inch touchscreen, ideal for remote learning. Users can connect a display, IFP, or projector without a PC. A super-speed USB 3.0 port easily records lessons straight to a PC or Mac and a 13-megapixel lens captures vibrant images and live video in up to 4K clarity and full HD video recording. Pilot X is a portable and fully integrated wireless digital teaching station featuring a 13-inch, 10-point-touch tablet that allows for work from the podium or use as a hand-held tablet for collaboration opportunities. Its wireless HDMI transmitter beams content to any IFP, projector, or TV in resolutions up to 4K. Other features include lesson capture with ClassFusion software, interactive whiteboarding, annotation, and desktop marking. ClassFusion is a comprehensive software for 21st century classrooms. Designed for wireless and interactive collaboration in a multidevice ecosystem, it integrates a presentation system and learning management system. It features dynamic lesson and notes capture, lesson-plan builder with access to a database of over four million resources matched to curriculum, space-saving vector-based lesson recording to the cloud, online homework submission and student messaging, and more. Impero Software is introducing Impero EdAware, a digital safeguarding system providing schools with a holistic view of students’ wellbeing and potential safety concerns. Impero EdAware records, analyzes and stores multiple types of student safety information to help identify potential safety risks and enable informed counseling sessions, behavior management conversations and safeguarding interventions. It integrates with the Impero EdProtect module (part of the Impero Education Pro suite). Jupiter Ed has announced a premium product, Jupiter iO Prime, advancing the company’s commitment to remain on the cutting edge of gradebook and LMS technology. Jupiter Ed now offers the most up-to-date services that include online enrollment, forms, tuition management, online payments and more. KinderLab Robotics will introduce its Progressive Curriculum Guide for the KIBO robot, which starts the youngest children on a pathway of creative coding and robotics. The comprehensive new K-2 KIBO curriculum guide is a progressive curriculum packed with 60 sequenced hours of research-backed, standards-aligned lesson plans in coding, computational thinking and engineering design. FETC attendees will be the first to see the guide. Kinful, a social-emotional learning program powered by student-created virtual reality (VR), will introduce a new version of its VR video editing software: 360 VS Pro Studio. Now, students will be able to not only film their own VR videos, but stitch and edit them as well. In doing so, students will be fully producing their own VR content. Lightspeed Systems has announced Safety Check, a revolutionary school safety feature in Lightspeed’s filtering and monitoring software solution, Relay. Safety Check is an AI-powered tool for identifying high-risk student behaviors online, helping schools prevent school violence, self-harm, bullying and more. With actionable information in the form of shareable trend reports and real-time alerts, Safety Check is saving lives in schools across the country. ManyCam has introduced a new video call feature, which allows teachers, broadcasters and video chatters the ability to invite guests to their live broadcast. Guests will be able to join the broadcast using a disposable URL in their web browser, eliminating the need to download any software. This allows teachers to invite multiple guest speakers from worldwide to help give presentations to their students. MathBRIX has announced the official launch of MathBRIX@School, a cloud-based adaptive learning platform for K-2 classrooms with home access. MathBRIX creates multi-sensory digital games that teach young students how to think mathematically and problem-solve, helping learners move from concrete experience to abstract problem-solving. MERGE will announce MERGE EDU, a new AR/VR app platform for active learning, and will showcase its award-winning AR/VR Headset, MERGE Cube, and Miniverse content portal. Also new for 2019 is the MERGE Cube’s integration with Tinkercad, CoSpaces EDU and Microsoft Windows 10 compatible MERGE Cube apps. NoteAffect has announced its educational software with a special focus on teacher-student engagement, using students’ digital devices to deliver unprecedented analytics. The software app uses built-in polling and quizzes to improve engagement and knowledge retention, while providing professors and administrators with analytics to make data-driven decisions to improve student satisfaction and success. OverDrive Education is introducing the full version of Sora, the engaging, personalized reading app that will get students reading more. Previously available in beta, Sora allows students to enjoy easy on-boarding, a simple, one-tap step to borrow and start reading, and automatic syncing across devices. Readers can access more titles with connection to the local public library collection. Sora also offers personalization and IEP support with audiobooks, dyslexic font, enlarged text and Read-Alongs. Ozobot will introduce the Evo Educator Entry Kit, which comes with everything K–12 educators need to bring coding and STEAM to their classrooms, including an Ozobot Evo, Educator Bot Camp with one-hour training in Ozobot’s 2 Ways to Code, and more. Entry Kits put educators first, empowering them to enroll and experience Ozobot Edu for themselves before graduating to a Classroom Kit for all their students. PatentDive will showcase PatentDive Educator, the first patent-based STEM curriculum. Wages in patent-based industries are 73 percent higher and growing, and PatentDive Educator is designed to make patent knowledge accessible to everyone. Educator is a project-based, hands-on curriculum that helps students develop collaboration skills and internalize STEM fundamentals while learning about the patent process. PerfectCoaches will introduce its PerfectCoaches App for Educators. PerfectCoaches is a scientifically designed approach to behavioral change. Assisted by artificial intelligence, virtual motivation coaches communicate every day with students as they master clearly defined skills and habits. The easy-to-use app helps youth understand why they are developing each habit, apply it to their goals and practice it every day. PikMyKid will showcase the integrated PikMyKid School Safety Platform. PikMyKid’s dismissal automation is now integrated seamlessly with Kidio's SAFER Emergency Alert System and tip line. The cloud-based platform reduces liability and enhances student and staff safety while mitigating traffic around schools. Project Lead The Way (PLTW) will showcase its Launch (PreK-5) and Gateway (6-8) programs, which will now be available in English and Spanish in 2019-20, providing an opportunity for ELLs to access a transformative classroom experience that prepares them with the knowledge and skills to be successful in college, careers and beyond. Rosen Classroom will introduce the Rosen-LightSail Content Builder, which allows educators to import their own content (PDFs, Google Docs and webpages) to be instantly evaluated by Metametrics to assign a Lexile measurement and apply the optional Cloze assessment. Educators can use leveled content to create lessons, units and projects, as well as embed multiple choice, open response and polls to appear as students read. The program’s reports provide educators, students and parents with real-time data to track progress. SAFARI Montage will introduce two new products: the OneRoster integrated lesson management tools and Hybrid Cloud solution. SchoolBzz has launched its new solution to streamline how schools share information with their families, replacing teacher websites, reducing email and eliminating messaging apps. It provides educators with a personalized dashboard to easily manage communications for the front office, classes, teams or clubs they lead. For parents, SchoolBzz aggregates relevant news in one feed along with easy access to assignments, resources and staff profiles. SchoolPHONES.com will introduce two new products: Lab Partner ChatSET and BK series SchoolPHONES. Lab Partner ChatSET's proprietary aural feedback circuitry means students hear their own voice naturally as they speak, providing an important and often overlooked component to computer-based language education. Students speak more clearly, yet softer, and learn faster. The BK series SchoolPHONES are for “Big Kids” in middle and senior high school. These are headphones that offer the same high quality and performance schools have come to expect from the K-6 series of SchoolPHONES. SilverShield will introduce two new products: the HR and Safety Resource Center, as well as the Kiosk System. The SilverShield HR and Safety Resource Center empowers schools to publish their Security Assessments and Plans on a shared platform for their staff to review, allowing for quizzes to be administered, ensuring staff has mastered their role in the plan. For schools without a Security Assessment or Plan, the Safety and Resource Center offers connections to Security Consultants to help them put one in place. SilverShield Kiosk enables self-registration at unmanned entry points via ID scan or manual entry. SSKiosk then notifies a Kiosk Monitor of the check-in, allowing them to grant access, or deny if the details match any watchlists. If a match is identified, the Kiosk Monitor may initiate silent notifications to specified recipients or trigger additional alarms, so that organizations can secure manned or unmanned entry points. STEM MINDS Corp. has announced the launch of the STEM MINDS Online Academy, coming in February 2019. 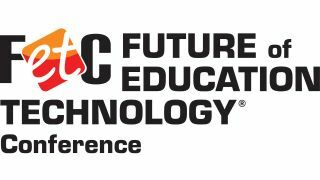 FETC attendees can see the platform before the official pilot launch. TeachLogic® will showcase its upgraded classroom audio systems, with a wireless security alert feature that’s always within reach of teachers. Using their lanyard-worn microphone as a transmitter, teachers press the button for four seconds; the microphone then sends a signal through the amplifier, which triggers the existing school security system using its unique “pulse code.” TeachLogic systems integrate with all major intercom system brands. Terrapin will showcase the Wireless Easi-Scope digital microscope, which magnifies up to 50 times and turns young students into junior scientists. Students can roam while using Easi-Scope to transmit and record magnified images to any WiFi-enabled device. With its egg-shaped design, the wireless Easi-Scope is easy for young students to use while motivating them to inquire and explore. The Product Connection Group will showcase its iPad and Chromebook organizer pouches, created to save time, effort and frustration for 1-to-1 districts by keeping devices and accessories in one place. Pouches can be issued with devices to help prevent the loss of accessories, protect school assets and make it easier to track inventory of iPads, Chromebooks and their related accessories. Tools4ever will introduce HelloID, a cloud-based access management solution that requires a single login for users to access their customized dashboard from a tablet, Chromebook or web browser. HelloID enables users to request access to applications or folders and subfolders via the online portal. Data owners can then approve or deny this access. Virtucom will showcase its new data management and analytic solutions. These analytic tools are designed to guide leadership and effective digital transformation usage in the learning process. Districts can partner with Virtucom and PAPERbasket to protect, maximize and cultivate their investments in students and communities. Wyebot will showcase its Wireless Intelligence Platform (WIP) with an enhanced SaaS solution that adds a comprehensive suite of network tests and historical client forensics, making the Wyebot WIP the only WiFi solution on the market that has all three features required for today’s wireless networks: AI based problem solution identification, historical client forensics, and network tests. Wyebot WIP is a vendor agnostic WiFi assurance solution that monitors, analyzes and optimizes a wireless network, saving up to 90 percent in mean time to resolution, reducing WiFi problem tickets by more than 50 percent and remote site visits by up to 80 percent using features such as client forensics and network tests. Zyrobotics will showcase Tommy the Robot, which has an accessible interface that enables kids of all ages and abilities to use commands, sequences, and loops to make it move, dance, and sing on-screen. In challenge mode, children can test their coding abilities by solving the Tommy the Robot challenges with his friends. In the play mode, Zyrobotics offers a board game that pits the child’s skill against additional challenges offered in its curriculum. FETC 2019 will include more than 600 diverse learning opportunities, including more than 175 intensive workshops and 425 targeted sessions in five updated program tracks: Future of Ed Tech Educator, Future of Ed Tech Administrator, Future of Ed Tech Information Technology, Future of Ed Tech Inclusion & Special Education and Future of Ed Tech Early Learning. FETC’s industry-leading expo will give attendees the opportunity to learn more about these 65 new products, and will also include an Early Learning Pavilion, Game Based Learning Pavilion and Hands-On Technology Lab. Registration is still open for the 2019 Future of Education Technology Conference. For additional information and to register, visit fetc.org/register or call toll-free 1-800-727-1227.